1. All Events are considered non-exclusive unless otherwise agreed upon herein. 2. For non-exclusive Events, a 50% deposit on all food or $500, whichever is less is required at time of booking to guarantee time, date and menu. 3. For exclusive Events, a 50% deposit on all food or $1,000, whichever is less is required at time of booking to guarantee date and time. 4. For non-exclusive parties of 20 Guests or fewer, the deposit becomes non-refundable thirty (30) days prior to the Event. For all other events, the deposit becomes non-refundable one hundred and twenty (120) days prior to the Event. 5. Deposits for all December events are non-refundable from the time they are paid. 6. The remaining charges incurred by the Host are due at the conclusion of the Event. 7. Food and specially ordered beverage choices must be finalized no later than 10 days before the event. Failure to finalize these items or a requested change in these items will result in a $250 convenience fee. 8. Should the number of the Guests go beyond the confirmed number the Host may be charged the per-person price plus 15% for any additional food required, plus tax and service. 9. Prior approval must be obtained before Guests under 21 years of age are admitted. 10. Except for exclusive events, the Host must submit a Guest List to The Warren 24 hours in advance. 11. The Warren must approve all changes, such as time of Event, number of Guests, and other event details prior to the event. All expenses incurred due to the approved changes will be added to the final bill with tax and service added to the total. 12. 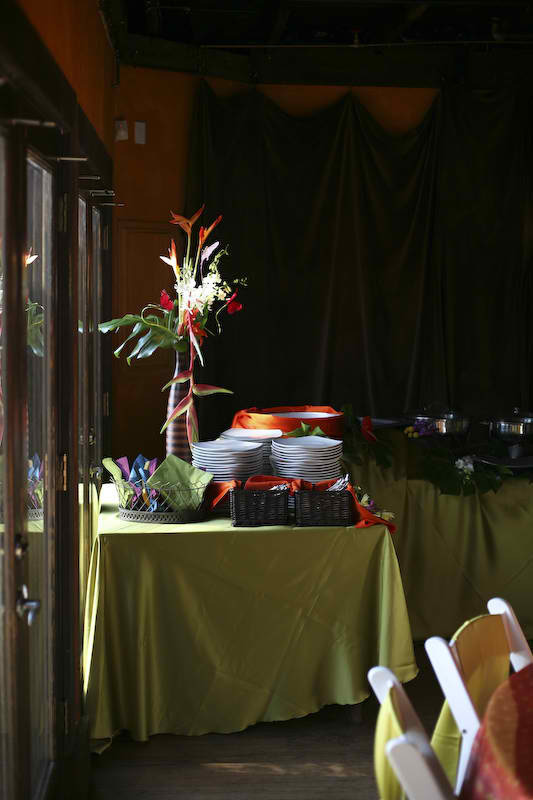 In order to provide the highest quality products, all buffets will be open at the time the Host specifies prior to the Event, and will be closed no later than 2 hours after they are open. If the Host requests a delay in the opening of the buffet, we will attempt to comply and maintain the open buffet for 2 hours. The Warren cannot guarantee quality products if the buffet opening is delayed more than 30 minutes. However, under no circumstances will any buffet remain open past 10:00pm, unless The Warren has been reserved exclusively for the Event. 13. For health safety reasons, buffet items not consumed during the party may not be taken home by the host or guests. 14. For all seated meals, Hosts must specify the time Guests will be seated and served. Delays in seating Guests must be approved by The Warren and in no case will be delayed beyond 60 minutes. All delays beyond 15 minutes may carry a $100 charge for every additional 15 minutes the seating is delayed (e.g. A 60 minute delay in seating will carry a $300 delay charge.) In the case of a delay beyond 15 minutes, food quality cannot be guaranteed. a. requests to take coursed seated meals “to go” may not be honored. b. guests joining the table after the meal service starts may not receive the previously served and cleared courses. 16. No food or beverage may be carried into The Warren and/or served unless expressly outlined in this Agreement. 17. All audio-visual equipment or recordings must be tested at least 7 days prior to the event. Due to the time in setting up and testing audio visual presentations, requests made the day of the event may not be honored. 18. 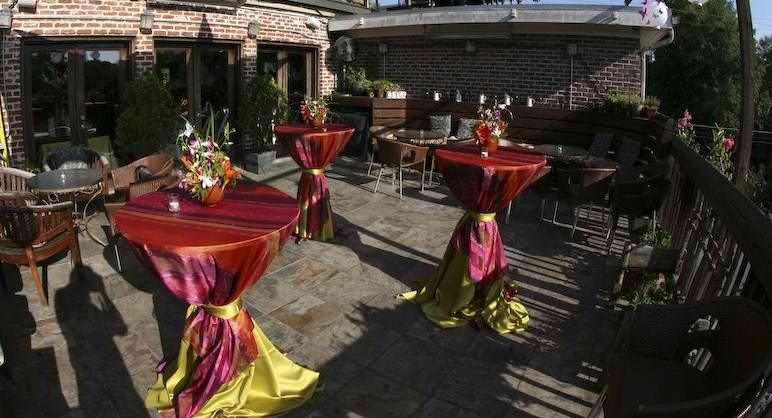 In most cases, the Club will be available to the Host 30 minutes prior to event start time to decorate. All decorations must be approved by The Warren and confetti, glitter, artificial flowers and any type of open flame is specifically prohibited. 19. Should the event run beyond the allotted end time, a charge of $1000.00 may be added to the final bill. 20. All music played at The Warren shall be determined solely by the Warren Management unless otherwise agreed upon and, under no circumstances will the Host have any influence over the music or volume level after 10:00pm. 21. The Host shall be responsible for the actions of their Guests and will assume responsibility for any damage done to The Warren’s furniture, fixtures, and equipment, as well as the area surrounding the building. 22. Host will not display any signs or advertising material without prior written consent from The Warren. 23. The Host and their Guests shall comply with the laws and ordinances, rules and regulations of all governmental authorities that have jurisdiction over the premises. 24. The Warren is not responsible for damage to the automobiles of any Hosts or Guests. 25. The Warren is not responsible for lost or stolen items. The Warren will not be held responsible for items left behind.